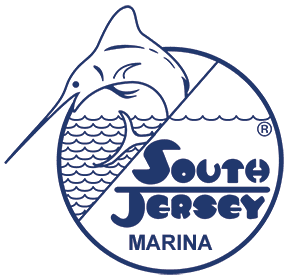 Day One of the 2018 MidAtlantic tournament dawned overcast and breezy though the inshore weather seemed to contradict the offshore forecast which was predicting much better conditions. The same weather forecast kept much of the tournament fleet tied to the docks on Day One though 44 boats headed offshore. 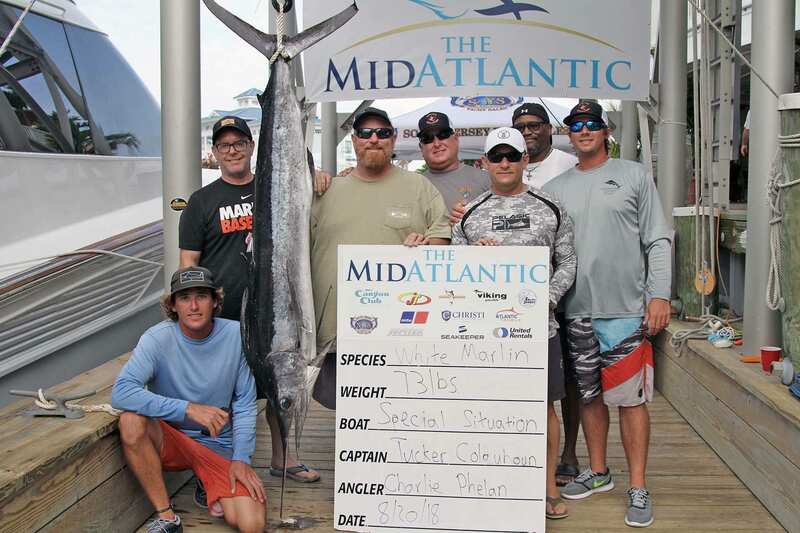 The evening’s weigh-in session got off to and early start as Captain Tucker Colquhn wheeled John Phelan’s Special Situation from Palm Beach, Florida to the scales in Ocean City and got on the board with a 73-pound white marlin for angler Charlie Phelan. Captain Walter Ogden put Justin Branning’s 3’s Enough on the board after weighing a 73-pound white marlin for angler George Robinson to tie with Special Situation. In the tuna division Curtis Campbell of Ocean City, Maryland aboard his Reel Estate weighed tuna of 111 pounds while Jim Rogers First Light from Hobe Sound, Florida weighed a 102-pound tuna to move into second place. Stephen Lewis’ M.R. Ducks of Ocean City, Maryland weighed a tuna of 85 pounds and is in third place. Some of the boats with significant billfish releases on Day One include Jon Duffie’s Billfisher with 12 white marlin and one blue marlin released. Anne Aramendia’s Give it Away released eight white marlin while Ed Russo’s Big Deal released six white marlin. 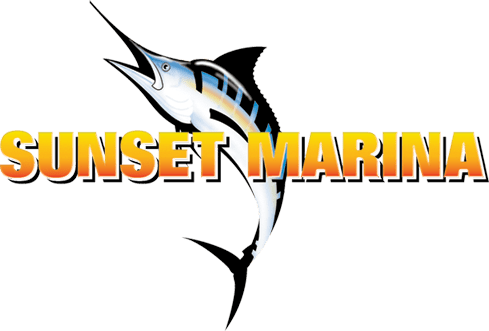 3’s Enough released six white marlin and a blue marlin while First Light, Rob Gothier’s Bar South and Chris Martin’s Goose each released six white marlin. Ken Hagar’s Taylor Jean, Anthony Matarese’s Real Chaos and Special Situation each released five white marlin. Joe Stein’s Marli and John Gudelsky’s Reel Joy each released four white marlin. Steve Hubbard’s Two Suns released three white marlin and a blue marlin. Robert Berg’s Bad Daddy released a blue marlin. Registration was brisk on Sunday at Canyon Club Resort Marina in Cape May and Sunset Marina in Ocean City, Maryland and the tournament committee worked late into the night to tabulate the final total prize money and when all entries were tallied up a tournament record purse was set once again this year and $3,368,490 is up for grabs this week. Please note the MidAtlantic tournament is a private event and not open to the general public. Tournament venues require credentials for entry. As a reminder the 2018 MidAtlantic is accessible through the South Jersey Tournaments App. Be sure to download this free app today for your IOS or Android device from the Apple App and Google Play stores so you can follow all the action all week long! For further information contact Tournament Director Aaron Hoffman at 609-884-0177. Be sure to visit the tournament’s official web site at www.themidatlantic.com where you’ll find all the facts, figures and information about this year’s event including a complete rundown of calcutta payouts, rules, points and an event schedule. There’s also a link to purchase official tournament merchandise. 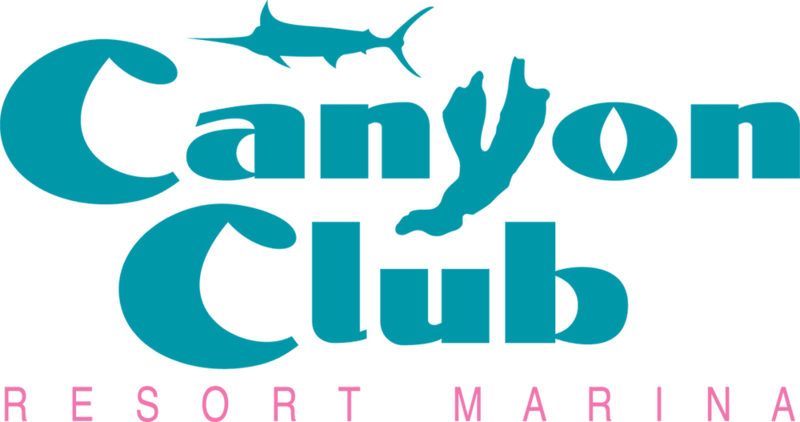 Each night you can follow the weigh in session from both marinas via a link on the web site. You can also follow all the action on Facebook at The MidAtlantic Tournament; on Twitter; @midatl and on Instagram; @themidatlantictournament.